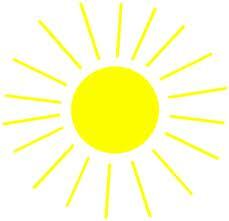 Today is the first day of summer. The weather is warm, and everyone is glad to be past the brutal winter temperatures. Here's 6 great tips for looking and feeling your best in the summer! Water is the very best thing we can give our bodies. 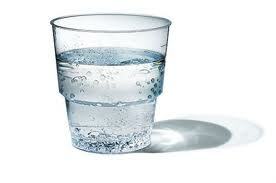 It not only refreshes us and quenches thirst, but helps cut calories if we feel the need to shed a pound or 2. Water is actually more filling than most drinks, and by substituting water for some of our more calorie-filled favorites, we can help kick some of the winter weight we found to keep warm. Beat the heat; drink water. Often we put more money into other areas of beauty, whether it be shoes, clothes, or hair. But, we can never neglect our face, and should have it as a priority on the personal care spending list. Facial products are not only critical in the summer, when we face more sun damage and heat, but at all times. Your face is your crown and glory, and it's what really tops off any look you put together. If you have oily skin, you'll want to use oil-free products, purifying gel cleansers which appear to dry your face right after washing, and medium/dew-like moisturizers to balance the skin. Sulfur masks are a must, too! For normal to dry skin, you'll want to focus on lathering cleansers, strong moisturizers, and exfoliators to remove dry dead skin cells. Be sure to wash your face twice, daily. 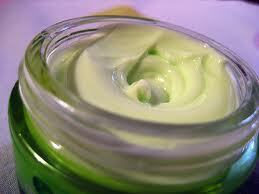 Skin care is increasingly important and can be done successfully at any price point. For more info or questions, ask us! The feet come out at night...and during the day in the summer. Good 'pedicare' is important in the summer when, like the face, you encounter more heat and possibly dryer skin. If you can't make it to the nail salon regularly, a good foot scrub from Target, and bright colorful polishes will give you a good start at home and be long lasting. *One of our favorite foot care tips is putting Vaseline/petroleum jelly on the feet after washing them. Put socks on to lock in the moisture, and watch the skin turn from rough to soft! This is best to do overnight. No matter your skin tone or how much you want to tan, we all need to use sunscreen when facing the sun for extended periods of time. These days, many lotions and even facial moisturizers have SPF already in them, which is a good start for your day-to-day encounters with sunshine. At times when your exposure will be extended, reach for a sunscreen with at least an SPF of 15, and if at all possible, limit your time in direct sunlight without movement. It gives us energy, but too much of anything is never good. Enjoy in moderation. For more tips on the right sunscreen, click here. Colors really should be worn at all times of year, to keep the wardrobe from monotony. However, the summer is the best time to shine-- bringing in yellows, greens, and all our favorite pastels. Although fashion mistakes can be made in any season, we all can rock the bright colors in the warm temps. They look good, and keep us cool when the sun gets to be too much. Let's put the blacks and grays on hold for a while. Go bold! This one might be a bit more for the ladies, but gents may carry bags for work or other reasons as well. Having the right bag in the summer is especially important, as you'll have key things to keep track of. You'll need a place for your sunscreen, facial blotting wipes, water, and of course, keys and cell phone. Now we absolutely don't endorse an over-sized bag which would burden your back and shoulders, but fashion designers are putting out some amazing pieces for summertime use. There's pockets, zippers, everything you need to keep your summer essentials in one place. Need help? Ask Coach! We hope these tips will have you ready-set-go for the summer days ahead. Let us know if you have more to share! I swear, we can not stress enough about the feet. That is a must for everyone. Overall, great tips! i saw some fred flintstone feet on a woman the other day so i must concur. 1. Love the name of this blog! so cute! Foot care is a must! Thanks for sharing! Glad we're posting things you like. Keep visiting!